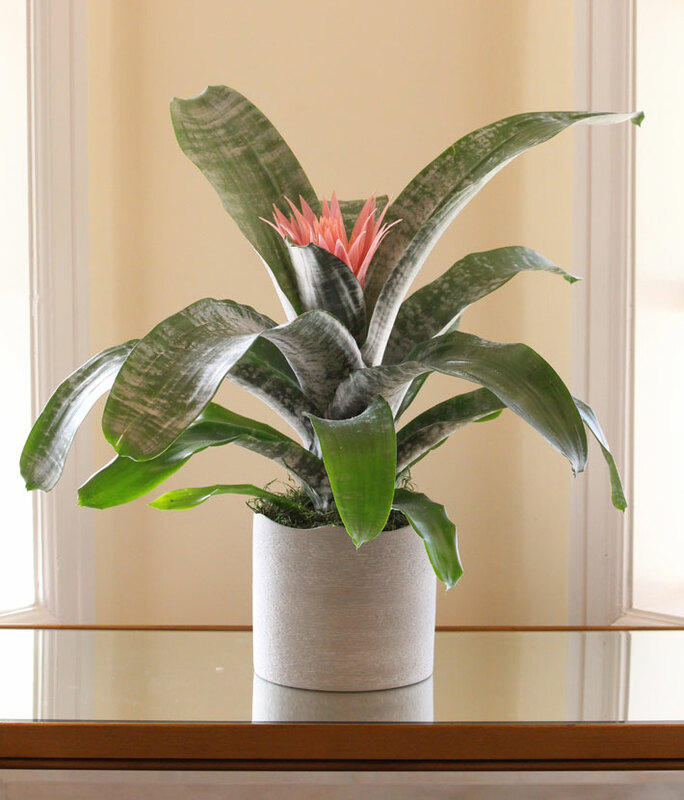 There’s something wonderful about a home full of flowering plants, and, as anybody who has spent time around houseplants knows, there’s a big difference between keeping a plant alive and actually getting it to flower. So, in some ways, this list of the best flowering houseplants represents a master class in green-thumbery. 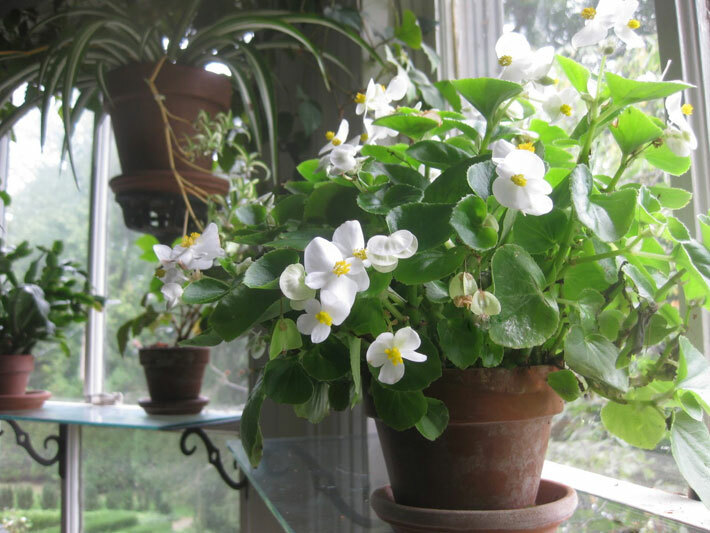 Find fragrance and beauty in flowering houseplants. The blooming beauties described here will help you pick the best ones for your home. African violets are among the easiest to grow flowering houseplants. They bloom year-round with little effort. Choose from hundreds of varieties and forms, some with variegated foliage or ruffled or white-edged blooms. African violet likes warm conditions and filtered sunlight. Avoid getting water on the fuzzy leaves; cold water causes unsightly brown spots. Here’s a tip: It’s easy to start new plants; simply cut off a leaf and root it in moist potting mix. 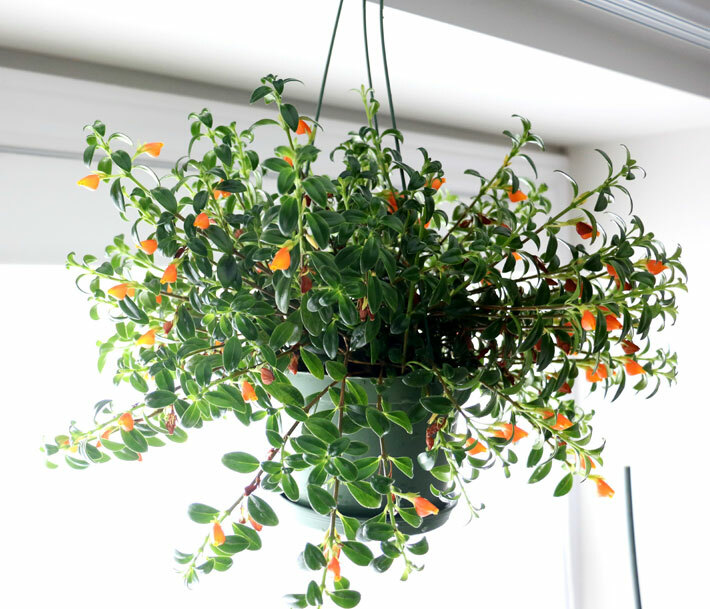 Why We Love It: If you have a bright window, this plant will bloom almost constantly. They’re also really versatile, blooming in almost every color to match your decor. Plus, it’s a sentimental, old-fashioned plant that reminds us of our grandmothers. 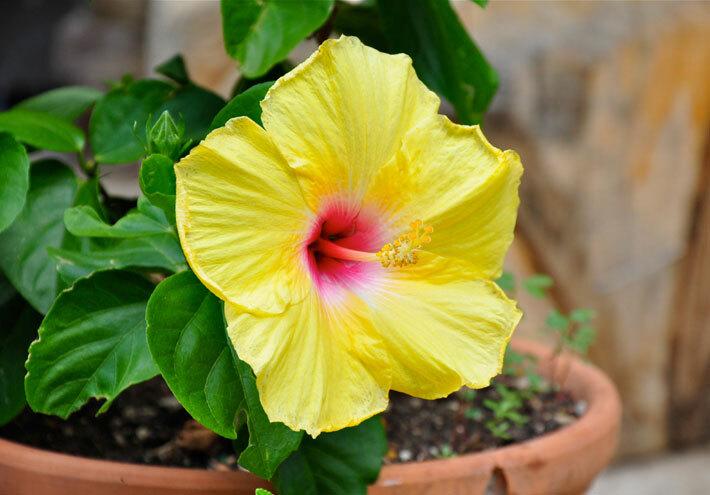 Tropical hibiscus is the ultimate plant for creating a touch of the tropics. It forms huge blooms, up to 8 inches in diameter, on a shrubby upright plant that you can train to grow as a tree. Individual blossoms last only a day or two, but plants bloom freely from late spring through fall and occasionally through winter. Keep the soil uniformly moist and give the plant as much indoor light as possible to keep it blooming. Why We Love It: The giant blooms are eye-catching and irresistible. Plus, hibiscus come in a dizzying array of colors — from shades of red to pink to orange, yellow, white, and even blue. Crepe-paper-like blooms in shades of red, pink, orange, or yellow dangle among leaves like festive lanterns. Many varieties have splotched or variegated foliage for extra interest. Grow the plant upright as a tree, prune it back to keep it shrubby, or even grow it in a hanging basket. Its common name comes from the leaves, which resemble those of a maple tree. Here’s a tip: If blooms drop, check the watering. Uneven watering can cause flowers to fall. Why We Love It: This fast-growing plant is almost constantly in bloom. 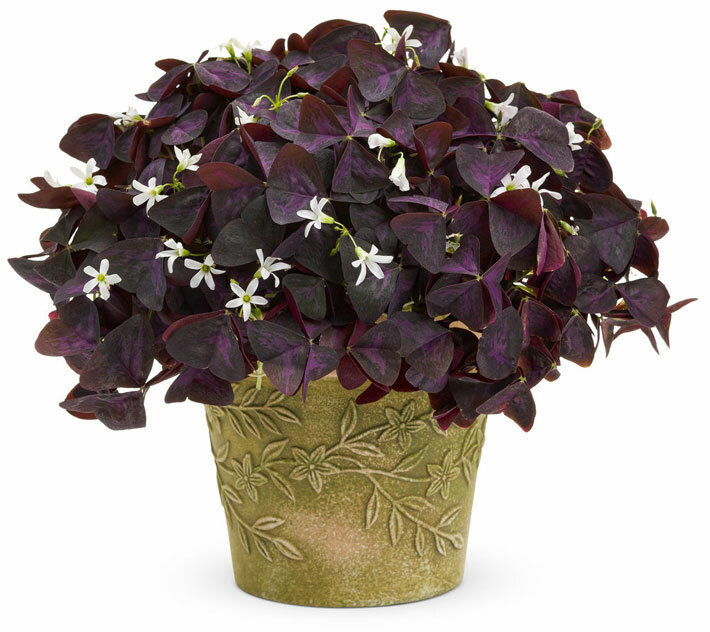 Oxalis bears triangular, clover-like purple leaves and an almost constant show of pink or white blooms. Look for varieties that have plain green foliage with or without silvery accents. Oxalis grows from small bulbils in the soil; you can divide these any time the plant becomes crowded in its pot. Why We Love It: The shamrock-shape leaves are beautiful and charming. Plus, it’s a great gift on St. Patrick’s Day. 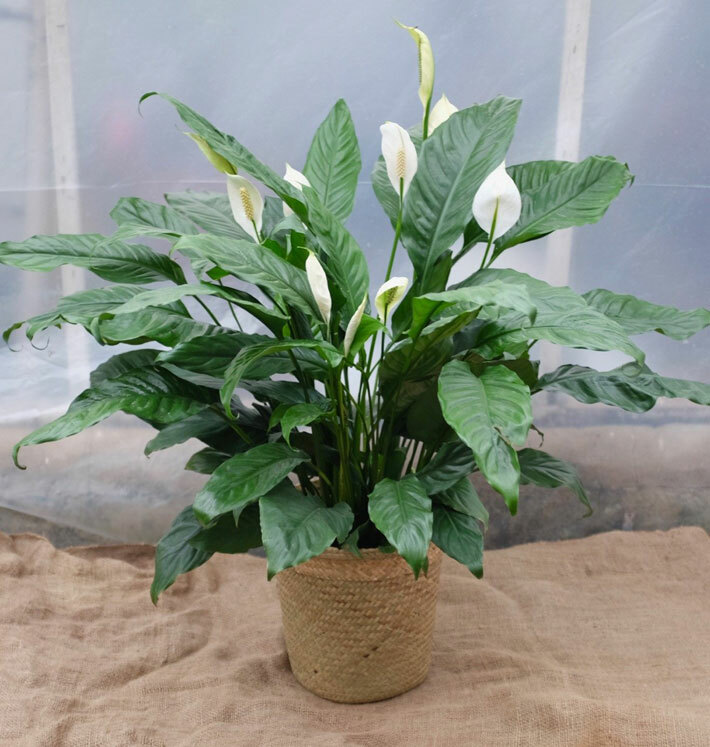 Peace lily is an easy-care plant that tolerates low light and low humidity. Flowers consist of a showy spoon-shape white spathe and spike of creamy white flowers. Bloom is heaviest in summer, but many varieties bloom throughout the year. The glossy, lance-shape leaves are attractive even when the plant has no blooms. 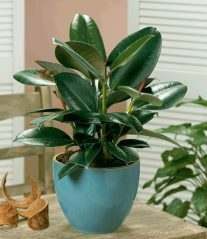 Why We Love It: Its large green leaves create instant tropical appeal and it’s one of the most common and easy flowering houseplants you can grow. Note: This plant is poisonous and can make children or pets ill if they eat or chew on the plant. Anthuriums bloom in festive shades of pink, red, lavender, or white, and last for two months or more. They also make a long-lasting cut flower if you can bear to cut them. 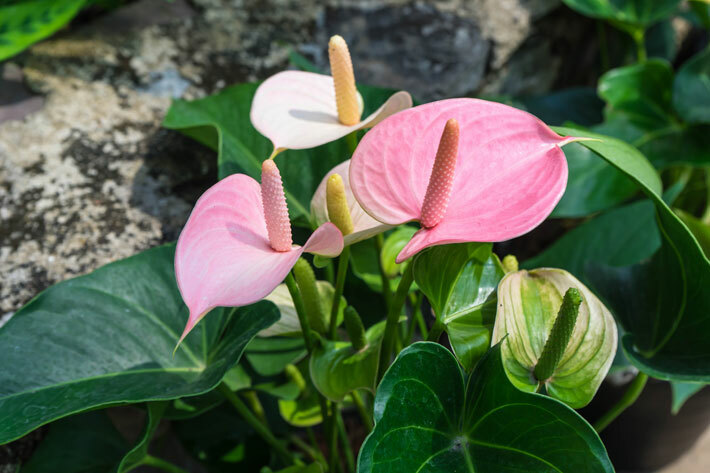 Anthurium needs medium to bright light to bloom well, but can be grown as a foliage plant with less light. Why We Love It: Its cute factor: The flowers and foliage are both heart-shaped. Note: This plant is poisonous and can cause illness if eaten or chewed by children or pets. There are many types of jasmine. 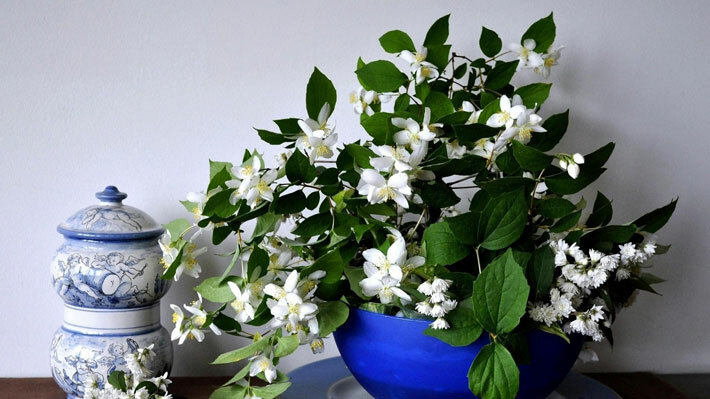 Many-flowered jasmine (J. polyanthum, pictured), and Arabian jasmine (J. sambac) are two of the easiest to grow; just give them plenty of light and moisture. They’ll all bear fragrant pink to white blooms on vining plants. Why We Love It: The beautiful pink or white blooms are the some of the most fragrant you’ll find on any houseplant. 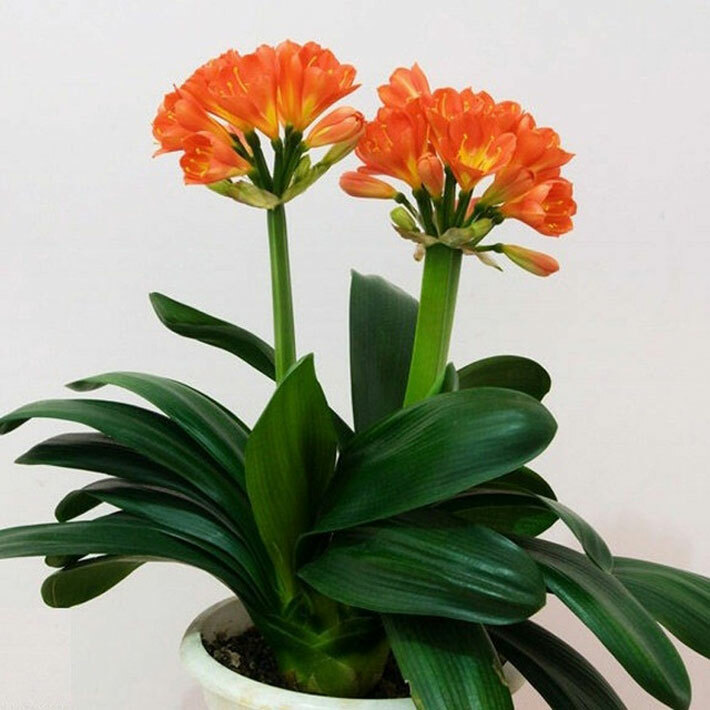 Kaffir lily is also commonly called clivia. 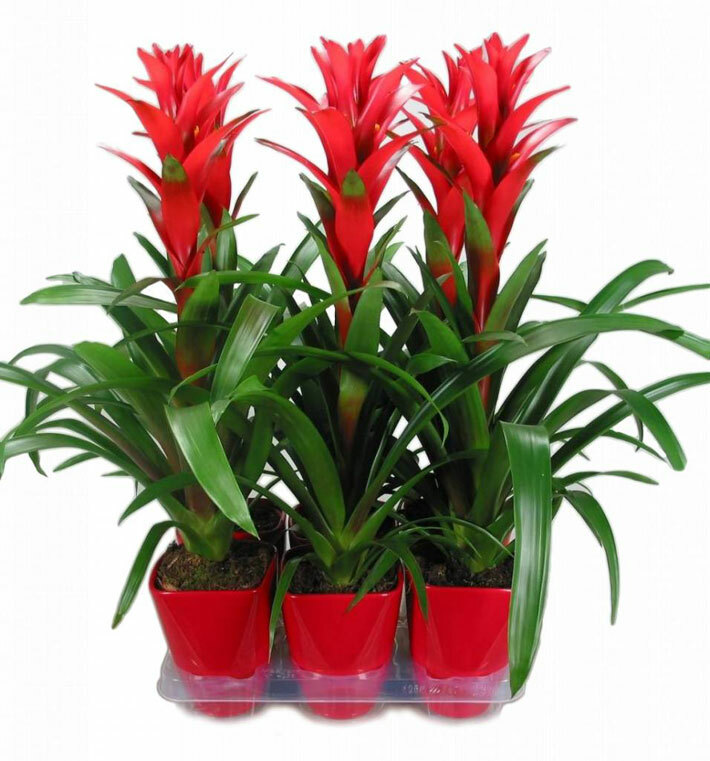 As a houseplant it usually blooms in winter with clusters of up to 20 reddish orange or yellow tubular flowers. Clivia blooms only when it has been exposed to cool, dry conditions, so give it lower temperatures in winter and keep it on the dry side. With its deep green straplike leaves aligned in a single plane, the plant is attractive even when not in bloom. Why We Love It: It’s extra easy to grow and the flowers brighten up January days when there’s not a lot else in bloom. 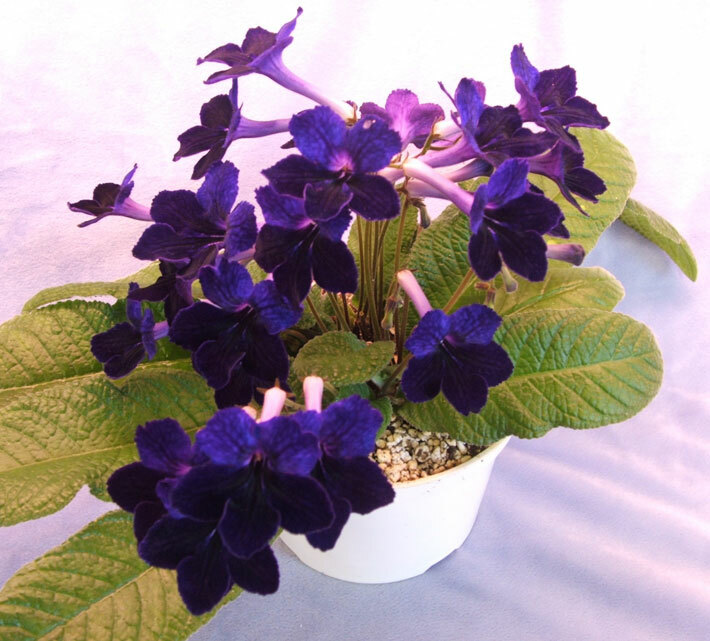 Also called Cape primrose, streptocarpus blooms almost continuously if given the right conditions. Most of the hundreds of hybrid varieties available bear trusses of pink, white, purple, or red flowers, often with contrasting white or yellow throats. 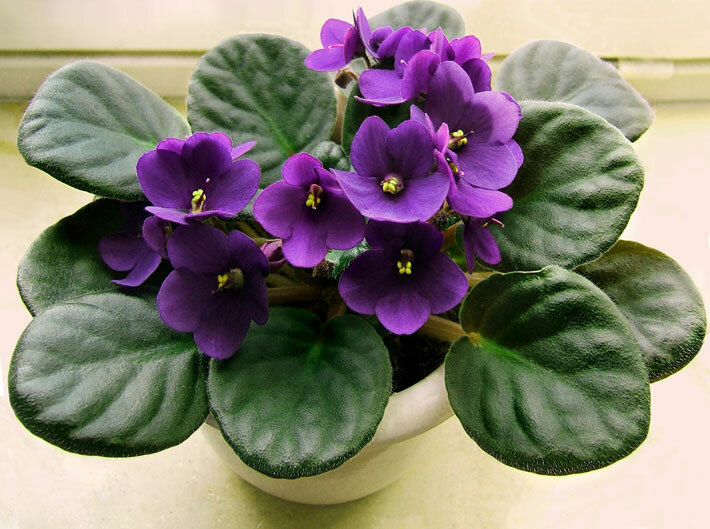 With the exception of providing cooler winter temperatures, treat it as you would its cousin, African violet. Why We Love It: The gorgeous flowers come in a wide range of colors and the plants are easy to grow and propagate. 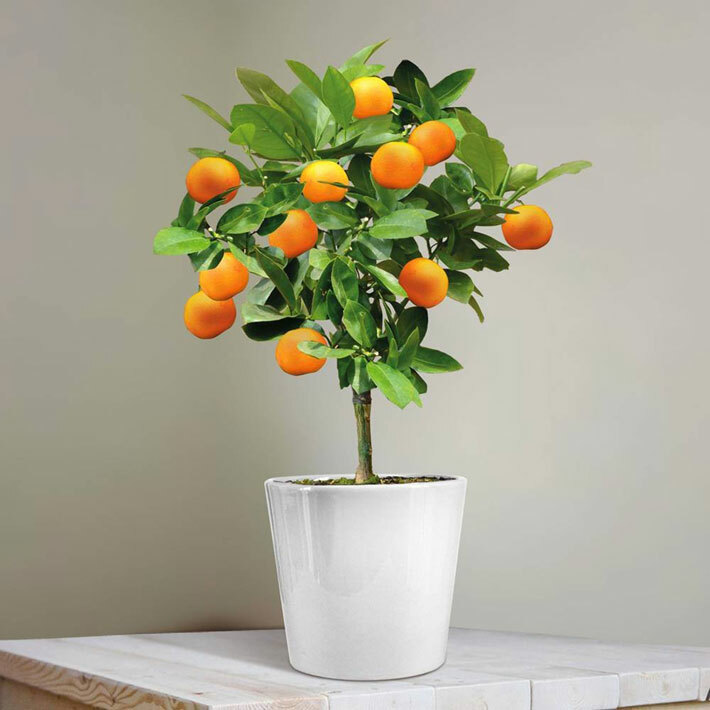 This hybrid between mandarin orange and kumquat bears fragrant white blossoms in late winter or spring. 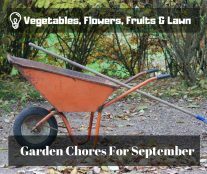 The wonderfully fragrant flowers develop into showy 1-inch-diameter orange fruits on a shrubby plant with glossy green foliage. Fruits can remain on the plant for many weeks. Why We Love It: You can harvest the fruits after they ripen and use them like lemons or kumquats or make them into marmalade. 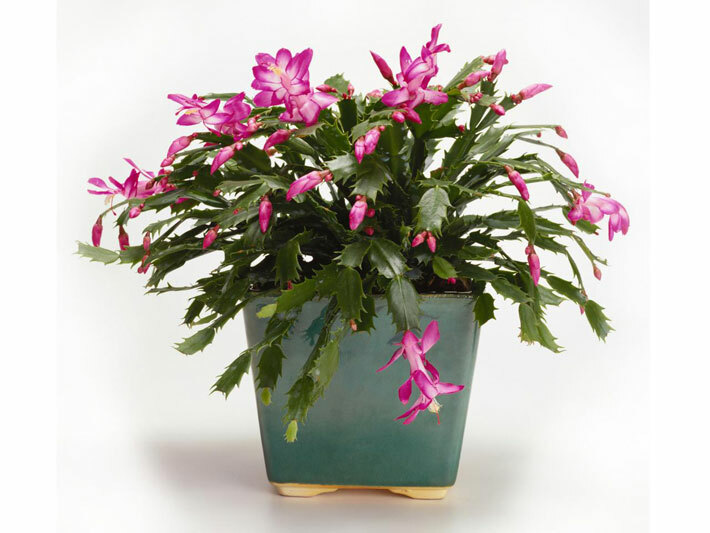 Many of the plants sold as Christmas cactus are a closely related species sometimes called Thanksgiving cactus, because it usually blooms a few weeks earlier than Christmas cactus. Both types flower in response to cool temperatures and short day length. In fall, keep the plant in a sunny, cool, frost-free location until you see flower buds beginning to develop. Why We Love It: It’s an old-fashioned favorite with exotically shaped blooms. Wondering where this plant received its moniker? The fireworks part of its name comes from two sources: In late spring and summer it sends up deep red flower bracts that develop lavender flowers, creating an explosion of color. And then, as flowers fade, it can shoot its small black seeds across a room. Like many houseplants, it’s also a great choice for growing outdoors in a shade garden. Why We Love It: It’s always attractive. You never have to worry about what it looks like when it’s done blooming because the beautiful leaves are marked with silver. This poinsettia relative tolerates neglect, as long as you give it bright to intense light and keep it on the dry side. It has thick, spiny gray-brown stems that are sparsely branched. Why We Love It: It’s an easy-care, low-water plant whose colorful bract-like flowers last for weeks. Note: This plant is poisonous and the milky sap can cause illness or skin irritation if eaten or chewed by children or pets. It’s also very thorny. Gloxinia usually flowers in late winter or early spring, bearing 3-inch-wide bell-shape blooms in rich colors, often marked with contrasting bands or speckles of white. Closely related to African violets, it prefers warm temperatures and high humidity. Keep water off the foliage to prevent leaf spots. 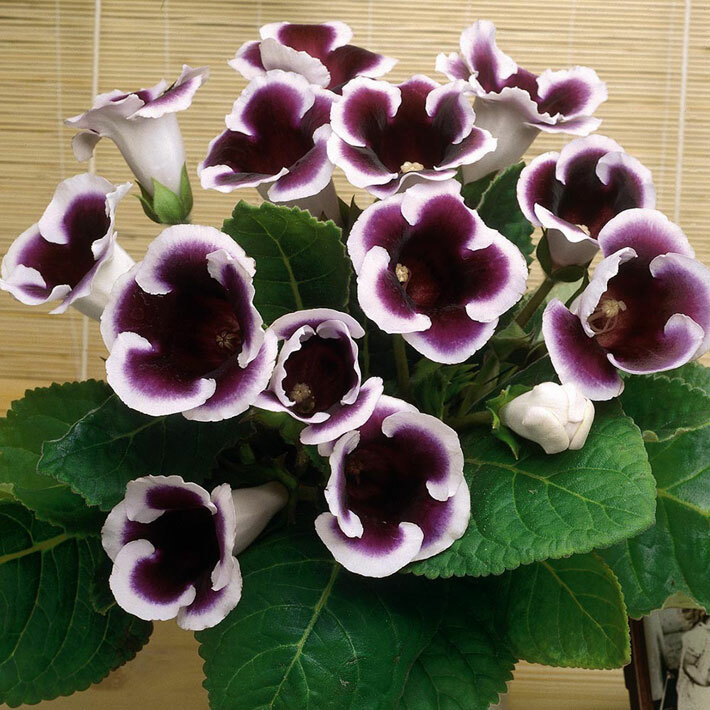 After gloxinia blooms fade, allow the plant to go dormant by withholding water. When new growth begins again, resume watering. Why We Love It: The huge, bell-shaped flowers are simply gorgeous. This African violet relative blooms most in summer, but if it has enough light, will flower all year long. Some other species bear their blooms on long stalks that dangle like a fishing line with a goldfish at the end of the line. The arching stems and dangling blooms of guppy plant make it a good choice for hanging baskets. Why We Love It: How can you not love a plant whose flowers look like goldfish! 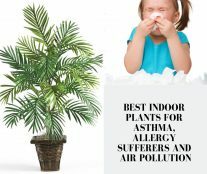 It’s a fun plant for getting children excited about houseplants. This African violet relative is great for hanging baskets because it produces arching stems with showy flowers that dangle from branch tips. The tubular paired flowers have dark purple cups encircling scarlet flowers. The plant blooms heaviest in fall, but can flower sporadically year round. 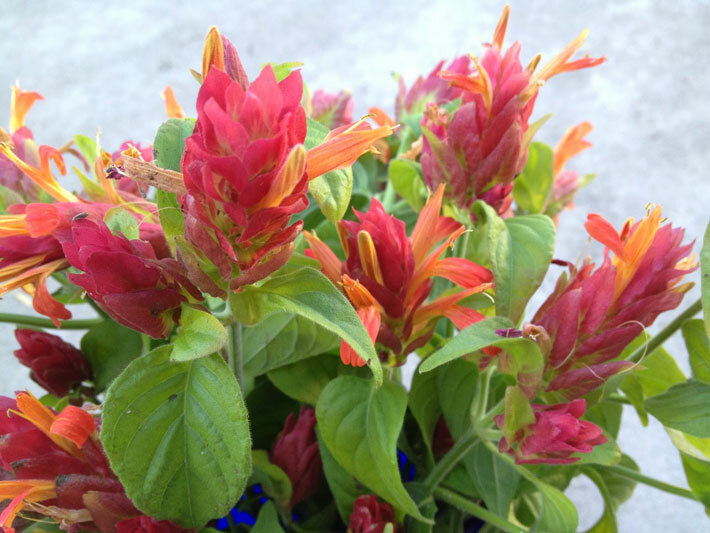 If you take it outdoors in summer, the red flowers may attract hummingbirds. 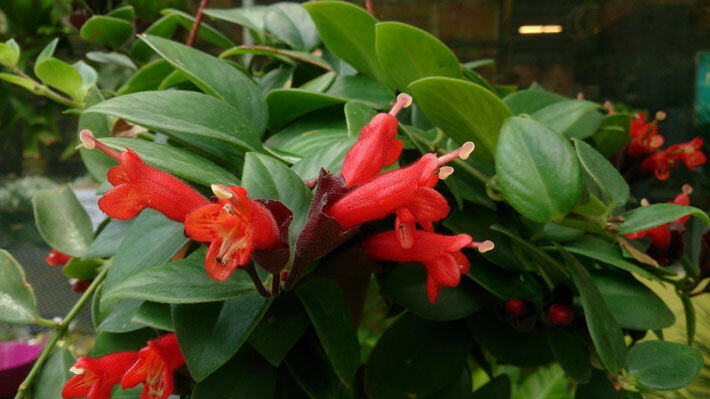 Why We Love It: It’s an easy-to-grow plant with flashy red flowers that really do look like tubes of lipstick. 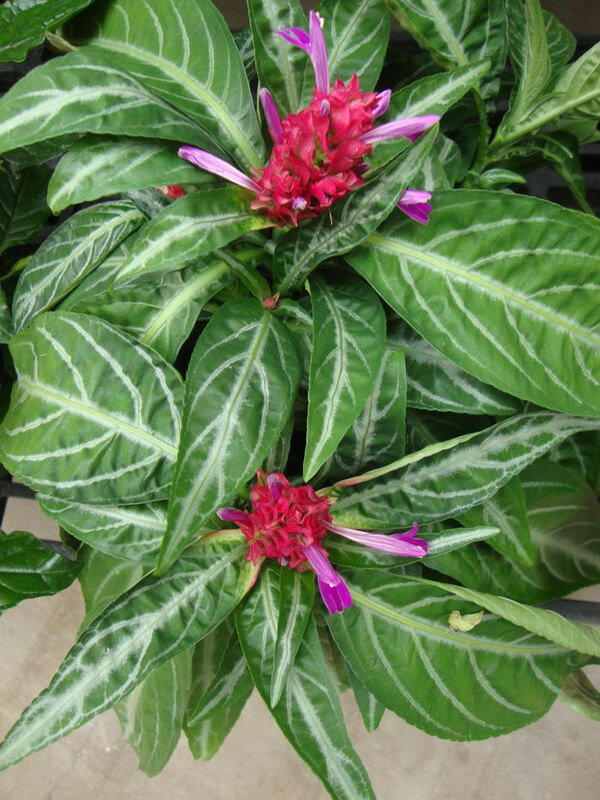 Shrimp plant is a fast-growing shrub that can be kept compact by hard pruning. It’s a good bloomer, producing flower spikes all year. Most varieties bear spikes of shrimp pink bracts with white tubular flowers. Others form yellow or chartreuse bracts that last a long time. Why We Love It: It has some of the most interesting blooms of any houseplant. Your friends will definitely notice it. Ixora is sometimes called flame of the woods, because of its glowing orange, red, and yellow flower clusters. Its leathery foliage emerges bronze but turns glossy green. 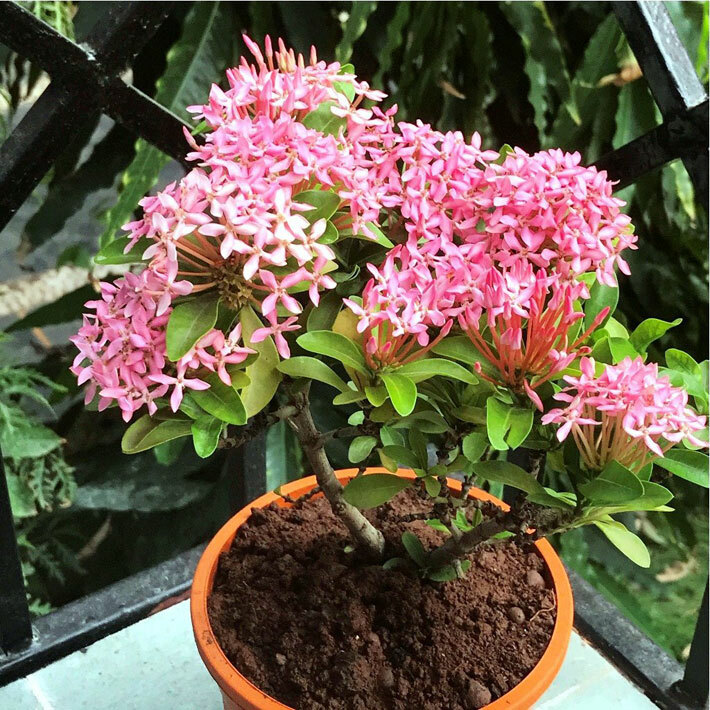 Give ixora abundant light, warmth, and humidity, but allow the soil to dry on the surface between waterings. Prune stems to keep the plant compact if they become leggy. Why We Love It: Its big clusters of orange, pink, red, or yellow flowers are wonderful treats on winter days. 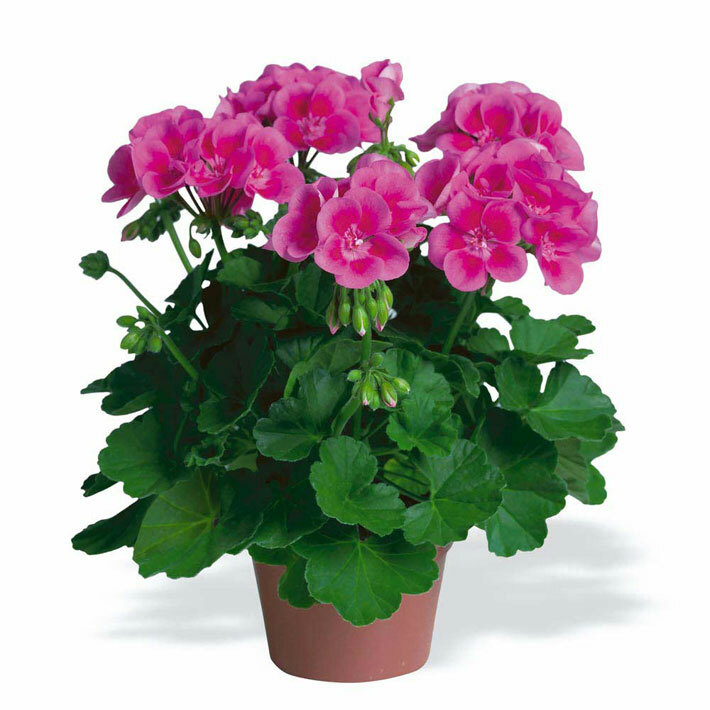 Several types of geraniums are grown as houseplants. Regal or Martha Washington geranium, pictured, has the largest, showiest blooms, but requires cool growing conditions. The common garden geranium (P. x hortorum), and ivy geranium (P. peltatum), also offer showy flowers but on easier-growing plants. Most scented geraniums are grown primarily for their deeply divided, fragrant foliage rather than their flowers, which are insignificant. Why We Love It: It’s so easy to grow that it’s practically no-fail. Several species are commonly called angel-wing begonia. 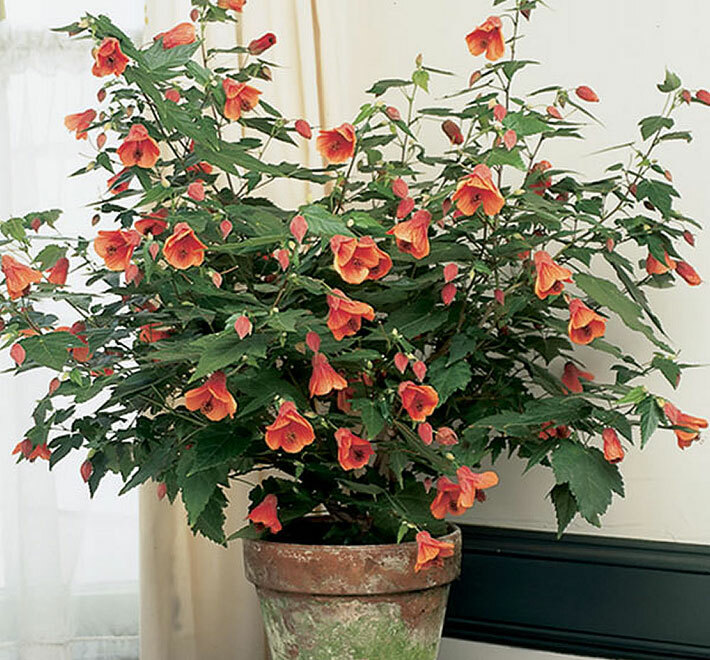 All, including Begonia coccinea (pictured) are upright growing, sometimes reaching 6 feet tall. But by pinching back tall stems you can keep plants bushy and in the 2- to 3-foot range. In addition to having attractive green, silver, and maroon foliage, angel-wing begonias freely bloom with clusters of red, pink, or white blossoms. Why We Love It: Its beautiful wing-shaped leaves are just as attractive as the blooms so it’s pretty all year long. Note: The roots and stems can cause painful irritation of the mouth, lips, or throat if eaten or chewed by children or pets. 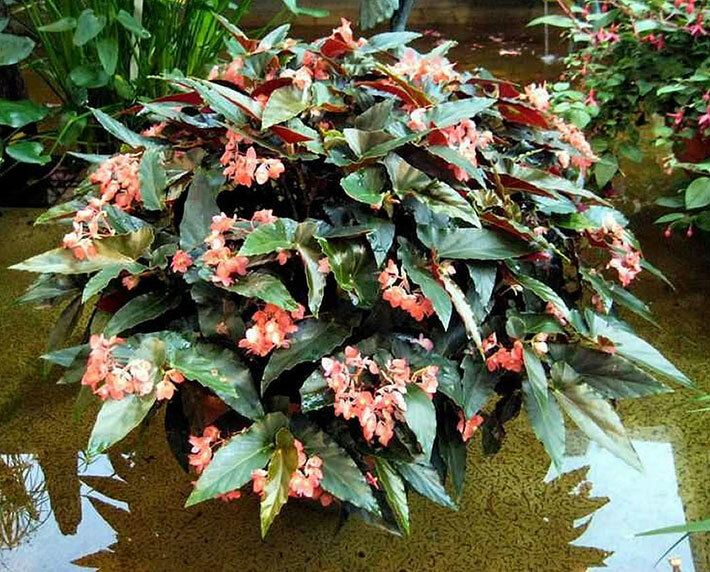 Rieger begonia is one of the winter-blooming begonias. It has fibrous roots with a swollen tuber-like base. Clusters of camellia-like blossoms in warm colors ranging from yellow to orange and red appear on top of glossy green foliage. 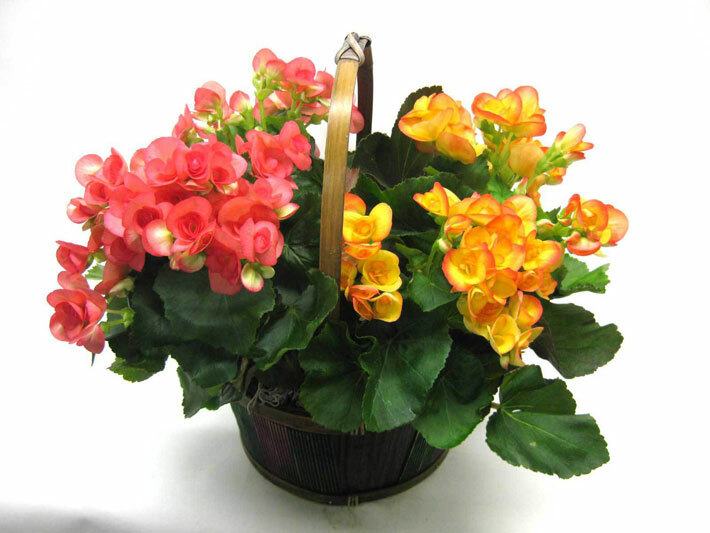 Rieger begonia looks good as a tabletop plant or in a hanging basket. Why We Love It: It’s an easy-to-grow plant with gorgeous, rose-shaped blooms. Popular as an outdoor bedding plant, you can also grow wax begonia indoors where it will bloom all year if it has enough light and good air movement. Simply take cuttings of your plants in the garden for your indoor garden. The cuttings root quickly in water or moist potting soil. Here’s a tip: Make sure it has good air circulation, otherwise it may be attacked by fungal diseases. 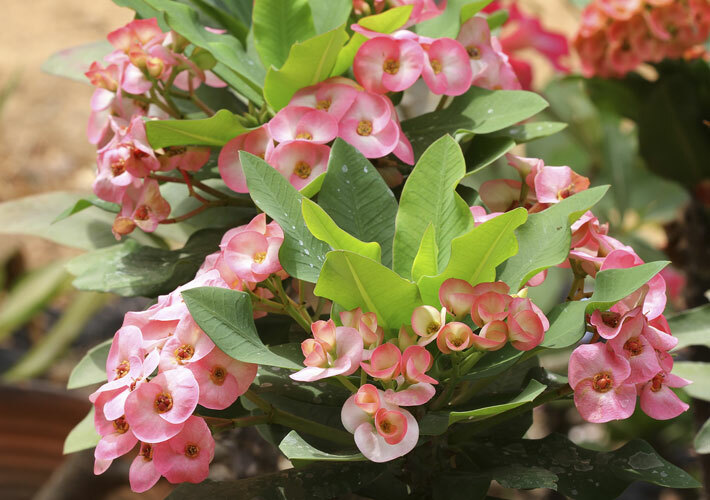 Why We Love It: It’s an easy bloomer with waxy foliage and colorful red, white, or pink flowers. Why We Love It: Its colorful red, orange, yellow, or purple flower bracts look very tropical and exotic. It’s a great conversation piece. The stiff, gray-green leaves of this pineapple relative are edged with spines and form an upright vase or urn shape. Silver vase plant sends up a large cluster of long-lasting pink bracts that bear short-lived purple flowers. After the bracts fade, new offshoots, called pups, develop at the base of the mother plant. Here’s a tip: Pour water directly into the vase to provide moisture for the plant. Why We Love It: It’s one of the most dramatic, easy indoor plants you can grow.